Toni’s Kitchen launched a new program this week in support of local families with food need. Volunteers pack nutritious food in a backpack and deliver it to a tutoring program 4 days a week. Students can take a backpack home once a week. This week’s backpacks included: pasta, tomato sauce, raisins, applesauce, tuna, peanut butter, rice, kidney beans, and other goodies. Once established, we’ll include fresh produce and protein. The backpacks ease the financial burden on families while ensuring access to nutritious food. 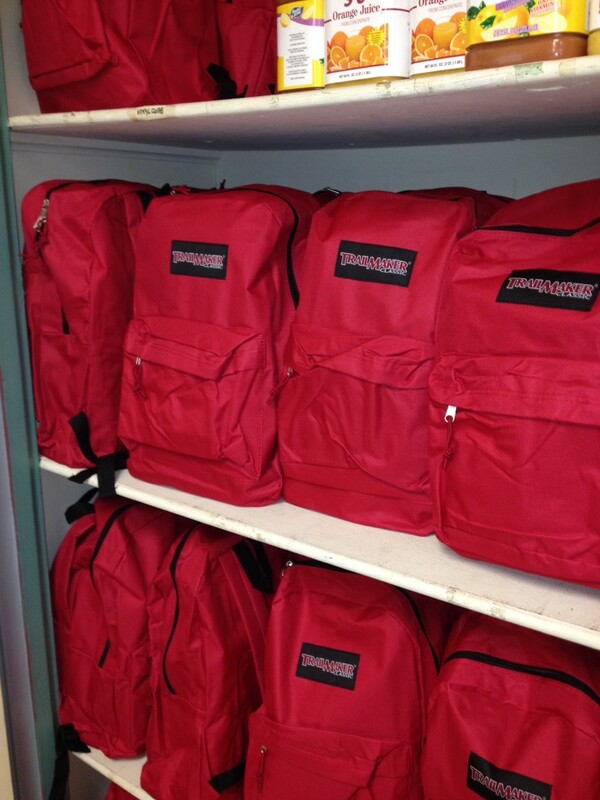 We will deliver approximately 20 backpacks this week and expect the program to grow to 100 by April. Toni’s Kitchen has lined up volunteers to stuff backpacks and help with delivery (just around the corner) but we could use an overall Program Coordinator and more people to bring the backpacks around the corner at 3:00 p.m. once a week. If you are available, contact toniskitchen@gmail.com.